FEVA (NABO's counterpart federation in Argentina which is the home of the largest Basque community outside of the Basque Country) and NABO have for the first time initiated an effort to "build bridges" between our two federations and together share resources to fulfill are common mission of promoting Basque heritage. It is well understood that with distance, varied local interests, etc. the initiatives are limited. Nevertheless, a few things in collaboration could go a long way in benefitting both federations. At the IV Congress of World Basque Communities (July 2007) both federations jointly stated an intent to explore some shared initiatives. The followup was a round of meetings for several days in Mar del Plata, Argentina at the "Denak Bat" Basque clubhouse (January 2008). Representatives of each federation meet to discuss some possible initiatives to bring to fruition. The following are proposals grouped around three themes that emerged from those rounds of meetings that each federation will then take back to its membership for consultation. The President of FEVA (Mariluz Artetxe) and NABO (Mary Gaztambide) presenting at the IV World Basque Congress (July 2007) their intent to jointly explore some possible shared initiative. The original areas of interest announced at the Congress were five areas of shared interest: confederation of world Basque entities, education, youth, Euskara & dance. At the follow-up meeting in Argentina specific proposals were then formulated. > International Mus Tournament (Youth to 25 years). 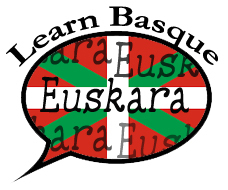 Games to be played using Euskara; inaugural Oct. 2009 in Bahia Blanca, Argentina with "Semana Vasca"
> Youth involvement in the Basque Week Argentina. _FEVA is responsible for the expenses (vouchers) Basque 2 weeks decade younger in the United States. Beginning in 2009. Click on the image to read a newspaper article from Mar del Plata about the "First Encounter of Basque Federations." The three days of meetings between NABO & FEVA produced several proposals. _Invitación de NABO con todos los gastos incluidos a las dos gerentes de FEVA para actuar como monitoras en el Udaleku de este año. > Participación de jóvenes de NABO en Semana Vasca de la Argentina: FEVA se hace cargo de los gastos (vouchers) década semana vasca de 2 jóvenes de Estados Unidos. A partir de 2009. > PILOTA BERRIA: Siendo que FEVA y NABO participan en el Consejo Mundial de Pelota Vasca, se continuará trabajando en la participación en encuentros y torneos de pelota. EUSKAL ERAKUNDEEN ELKARTEA - E.E.E. NABO President Mary Gaztambide & FEVA President Felipe Eiheraguibel headed their respective delegations for the "First Encounter of Basque Federations of the Disapora" that produced some attractive possible initiatives of shared interests. There are over 160 Basque clubs around the world, and of those almost 100 are part of FEVA & NABO. EUSKAL ERAKUNDEEN ELKARTEA – E.E.E. > Redacción de artículos – a cargo de FEVA. > FEVA y NABO: Envío de propuesta de estatuto a otras entidades del mundo para que hagan sus aportes. The Argentine-Basque gift to their nation-state is this sculpture of the Tree of Gernika situated in Buenos Aires. 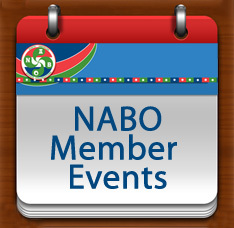 The follow-up for NABO is to discuss these initiatives and came to a conclusion at our upcoming meeting in Salt Lake City (April 18, 2009). If the confederation initiative is accepted, then a NABO delegation would travel to Argentina (Oct. 2009) to participate in the creation of the confederation. 3) Euskarazko ekimen eta materialak hedatzea www.euskaletxeak.net ataria baliatuz. · "Jokoak" liburua: Txiki-taldeei jolasak banatu. 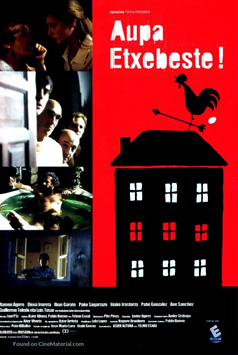 Filma dezatela eta sarean zintzilika. 1) Bi urtez behingo gazte trukea (dantzariak eta txistulariak). Argentinako Euskal Astean dantzari iparramerikarrak arituko dira eta AEBetako Euskal Astean dantzari argentinarrak: hau da hurrenkera. 2) Nazioarteko mus-txapelketa: (25 urte bitarteko gazteak). Mus euskaraz (lexikoa banatu). 3) FEVAk Udalekuan hartuko du esku. I. NABOk FEVAko bi kudeatzaile gonbidatuko ditu urte horretako Udalekuan begirale ari daitezen. Gastu guztiak NABOren gain. 4) Argentinako Euskal Astea: NABOko gazteak izango dira. AEBetako bi gazteren gastuak FEVAren esku. (Zer da década semana vasca?). 2009tik aurrera. 5) Txikien Topalekua: Llavallol, 2009. FEVAk NABO gonbidatuko du esku hartzera. 6) PILOTA BERRIA. Euskal Pilotaren Mundu Kontseiluan parte hartzen dutenez bai FEVAk, bai NABOk pilota-partida eta lehiaketak sustatzen segituko dute bi erakundeok. Artikuluak idaztea, FEVAren esku: otsailaren 28rako. - Lehiaketa: Munduko euskal taldeen ikur edo logotipoa sortzeko. - FEVAk eta NABOk EEEren sortze-batzarrera gonbidatuko ditu munduko hainbat erakunde. Bahia Blanca: 2009ko urrian. - Sortze-ekitaldia Argentinako Euskal Aste Nazionalean izango da, Bahía Blancan, 2009an. - Azkenik, FEVA eta NABO bi urtez behin biltzeko asmoari eutsi nahi zaio. Beste federazio batzuek ere parte har dezakete, hala nahi izatera. - Hurrengo topaketa: 2010ean Boisen. 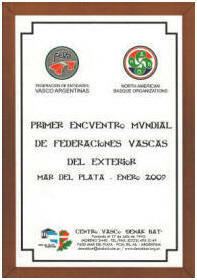 Federación de Entidades Vasco Argentinas / North American Basque Organitations Inc.
Mar del Plata, Argentina, 2009ko urtarrilak 11.